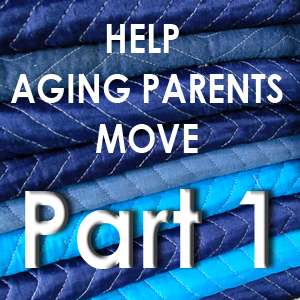 Move Parents to Assisted Living - Pt 1 | Cummings Moving Co. Helping an aging parent move to an assisted living facility is more than mere “move logistics.” This is a big life transition, and can be filled with all sorts of emotions. It can be just as hard on the you, the son or daughter helping with the move, as it is on the parent themselves. Please remember, in order to help your aging parent with this important transition into assisted living, it is your job to take care of yourself along the way. Lean into a support group, or into your friends. They can help you process the feelings that come up on your end. You may even want to consider working with a therapist. Please do not underestimate the emotional toll this transition can take, and remember what they say: Put the oxygen mask on yourself FIRST! Who Should be Involved in a Move to Assisted Living? Ideally, this is a team effort -The more support your aging parent has in this transition into assisted living, the more likely it will be a good one. While it is obvious that this team includes you and your parent, it will help if you both enlist the help of others. Engage the help of your parent’s doctors and alternative healthcare providers. They can likely offer specific ideas to help make the transition easier and less stressful on your Mother or Father. Get their help moving prescriptions, or finding a new doctor or hospital if needed. check to see how stress may impact any major health conditions. Book a massage or acupuncture treatment for them to help reduce any physical tension, stress or anxiety that may arise. Rely on siblings, extended family and friends. Ask for help with all sorts of things: help pairing down the household, help talking Mom or Dad out to visit friends before the move, help researching needed information, help cooking meals so that you and your parent can take that off your to do list. Remember you CAN ask for help! Connect with the staff at the assisted living facility. They have done this before and likely have some wonderfully practical suggestions to help you with the move, and help your aging parent with the transition to their new home. Look into hiring a Senior Move Specialist or Move Coordinator. This comes in especially handy when it is necessary to downsize a large household, or when moving your parent across the country. A professional like this is highly skilled in this area, and the good ones bring valuable experience to the table. Do your homework and check references. You can always ask your moving company for a referral. It also helps if you work with a mover who understands the intricacies of a move to assisted living. Check with service organizations in your area, or on websites for additional resources. As Baby Boomers age, there is more and more helpful information online. Many websites offer very sage advice and practical tips to help with a move just like this. Please check back on June 24, 2014 for Part 2 of this 2-part series. We wish you all the best as you and your parent navigate this transition. 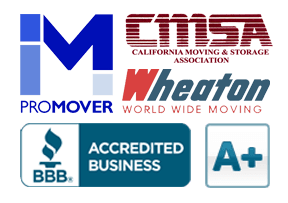 If you live in the San Francisco Bay Area and need a mover or a storage facility, we hope you will be in touch. We have plenty of experience with senior moves and are happy to share what we know with you. In the meantime you can read more on Moving Seniors here. Photo Credit: A Special note of appreciation to Lee Abel for her wonderful photography of our crew in action!